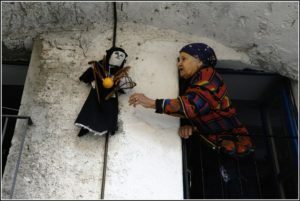 If you happen to be celebrating Easter in Calabria and you arrive a little early, you may just come across what looks like a ragdoll hanging from a balcony or the side of a house. 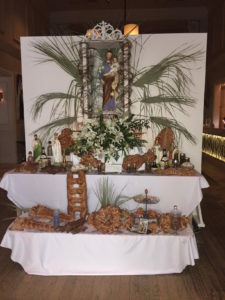 Not to panic, this is not some form of malocchio or evil eye, but Corajisima, a traditional practice during Lent in Italy, specifically, Calabria and other areas of the south. Corajisima is more a who than a what. She is the wife or perhaps more accurately said, the widow, of Carnevale. She can also be called the sorella or sister of Carnevale. 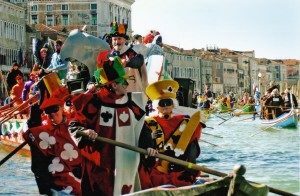 After the great feast of Martedì Grasso or Fat Tuesday, Carnevale, the embodiment of the revelries, dies. Poor Corajisima remains alone. Usually depicted as an ugly, skinny old woman with a decidedly unsettling appearance, she represents abstinence in the Lenten period. 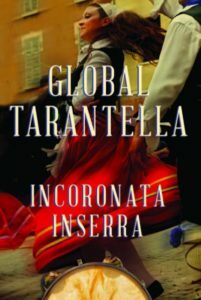 Il “Processo del Carnevale” è tra i festeggiamenti carnevaleschi più diffusi, infatti lo ritroviamo in molte regioni italiane e sopravvive anche nella tradizione popolare odierna. Dopo il testamento del Carnevale, al quale si addossano tutti i mali del vecchio ciclo annuale, di solito si usa metterlo a morte. L’uccisione può avvenire per per impiccagione o decapitazione ed è il momento culminante del dramma e dei festeggiamenti, ma la forma più usuale è quella del fuoco, ovvero la messa al rogo del fantoccio di Carnevale che troviamo in tantissime località. If you use Face Book, be sure to find IFAFA’s FB page and follow it. We post information about our members’ activities, folk events in both the U.S. and Italy, and other items of cultural or folkloric interest. Once you receive our posts regularly, please interact with us! It “boosts our ratings” the more people like and comment on the postings, so please visit frequently and boost the ratings by liking and commenting often on the posts. Just looking at the page, but not participating, is not as helpful. We would also like to receive more news from IFAFA troupes and individuals that we can post. Even if it is not likely that someone in California would be able to attend an event in, say, Rockford, IL, including posts about local events shows the breadth of IFAFA’s activities. When someone local does like a post, that person’s like may be seen by others who may then become aware of, and join, our page. If you have events that you would like to see on the IFAFA FB page, you may add it as a Visitor Post, or you may email pictures and brief descriptions to Jackie Capurro at <viva_ifafa@hotmail.com>. 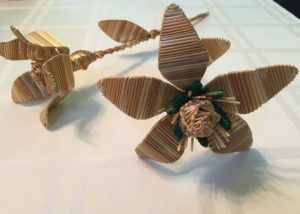 These flowers, handmade from wheat, are just one facet of the elaborate tradition in Jelsi, Molise, where an annual Festa del Grano is held in honor of Saint Anna. Search for more live video and archives of this enduring tradition. 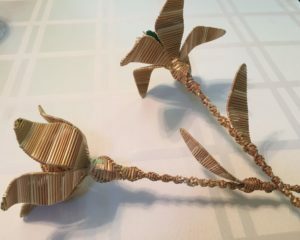 Our thanks to Janine Giarrusso, an IFAFA member from Pittsburgh, PA, for this interesting post! This festival takes place today (26 JULY 2018) in Molise! If you are anywhere near Albany, NY, please help us to get the word out about this wonderful event. 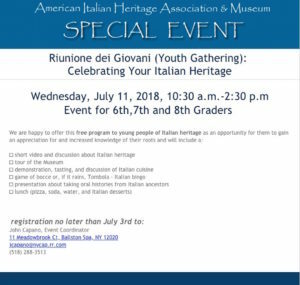 The purpose of the event to help our young people to know and appreciate their Italian heritage and culture. Free and open to the public. 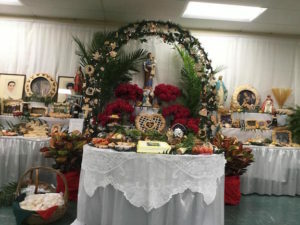 This year marked the 21st anniversary of the St. Joseph Altar Celebration sponsored by the Italian-American Cultural Center of Iowa. 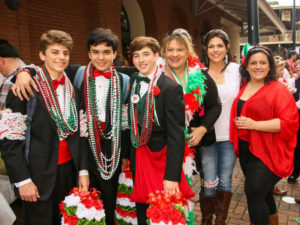 This event was successful because of the many hours that numerous volunteers spent making sure that this would be a truly traditional and spiritual undertaking. Sincere thanks to all those who made it happen.